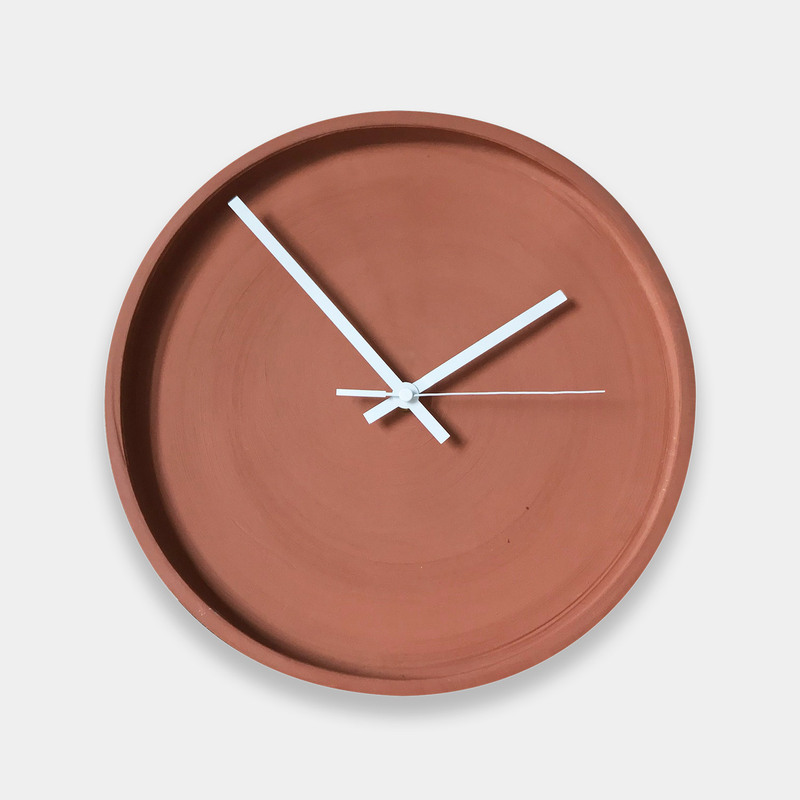 We couldn’t find what we wanted – a minimal terracotta clock. So we designed one and asked a nice potter in Dorset to hand throw it for us. We liked it so much, we decided to get you involved too! 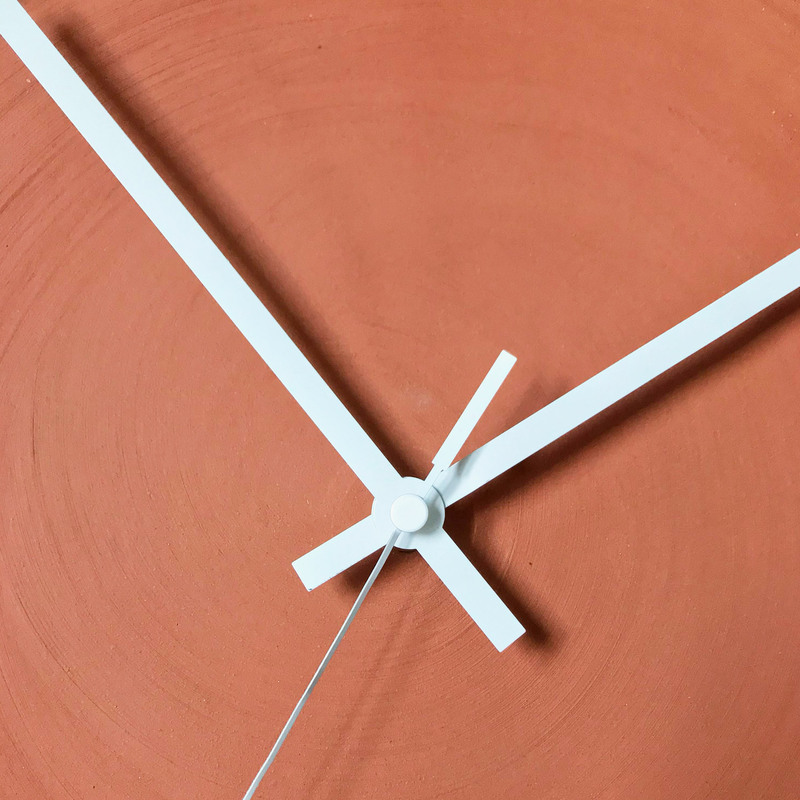 Every clock is handmade from natural ‘Cheddar Red’ clay and bears the marks of the potter and of the hand throwing process. 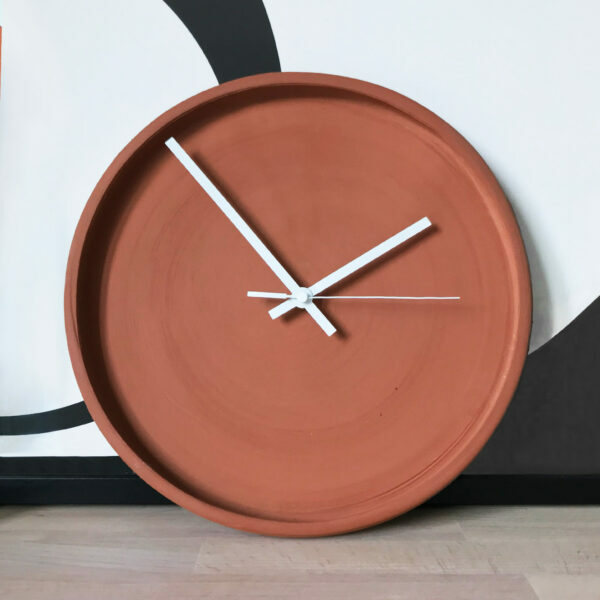 This makes each clock unique and small variations can be expected. Terracotta clay, quartz clock mechanism and white metal hands. Battery not included. 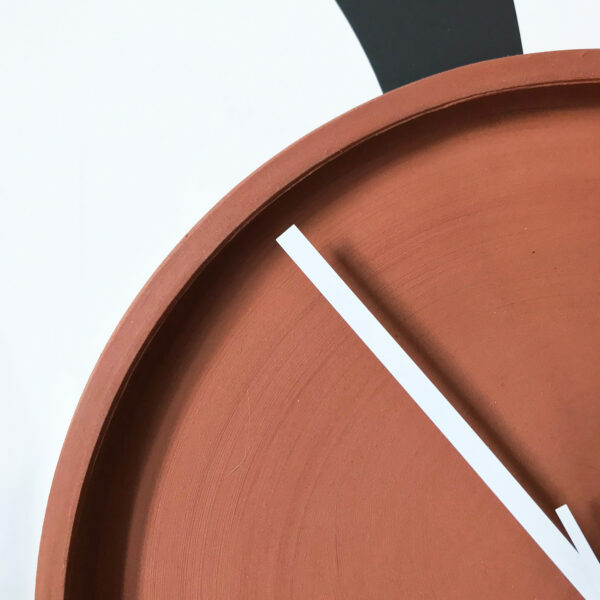 Designed and made in the UK by Two Girls Co. and partner makers.